Maybe it is the long and cold winters, but New Englanders are unusually tough individuals. Providence/Boston denizen Eric French personifies this, having beaten leukemia and made his own way out into the world as a musician. This skilled singer, songwriter and guitarist even holed his band up in a snow-bound Vermont cabin in the dead of winter to record the new Eric French & Mr. Hyde album. 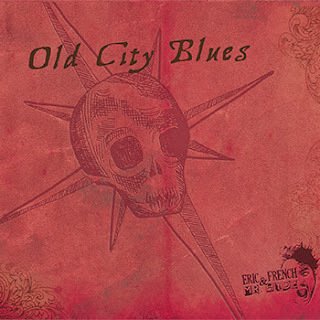 Old City Blues is Eric’s second release, and this self-produced collection is a more mature and refined work than his debut double album, Eric French & Mr. Hyde. 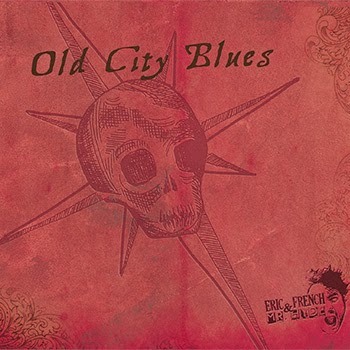 Old City Blues is unique in that he released the songs in three batches over the past year, only recently issuing a disc that includes all eight tracks. French wrote seven of the songs, and chose an amazingly reworked Tom Petty cover to round things out. Joining him on this album are Walter Skorupski on bass, Corey Schreppel on the skins, and Tim Butterworth on the piano and organ. Eric is not terribly old, yet he has been playing the guitar for the past 20 years and it does not sound like he has been lollygagging either. His playing is confident, and he is secure enough that he can focus on playing with feeling while fitting into the song rather than acting like a star and aiming to impress with pyrotechnic guitar runs. You will hear this right from the beginning as he starts the album off with “Baby Where Ya Been,” a slickly-written rhythm and blues tune. The traditional blues elements are there for “Poison in Mah Pie,” such as the song structure and the age-old story of a lady trying to off her old man. But Eric brings it straight into 2013 by choosing a modern sound and very clever present-day lyrics. Butterworth’s organ work adds a funky note to this one, as well as the jazzy instrumental, “Spread it Around.” I appreciate it when a talented band like this chooses to not add words to one of their tracks so that all of the individual parts have a chance to shine. This one has a mellow start then builds momentum until it erupts into a full-blown blues jam. 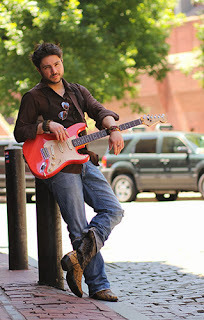 “Evenin’s With the Blues” is an uptempo piece with a plentiful helping of tasteful acoustic and bottleneck slide guitar. He has a fabulous voice, and despite his Yankee heritage French has a bit of a southern accent when he sings. This is the perfect tone for him to take on songs like “Gonna Get” and “Middle of Love” which both have really great lyrics. Then there is his cover of “Free Fallin’,” which happens to be my least favorite Tom Petty song. 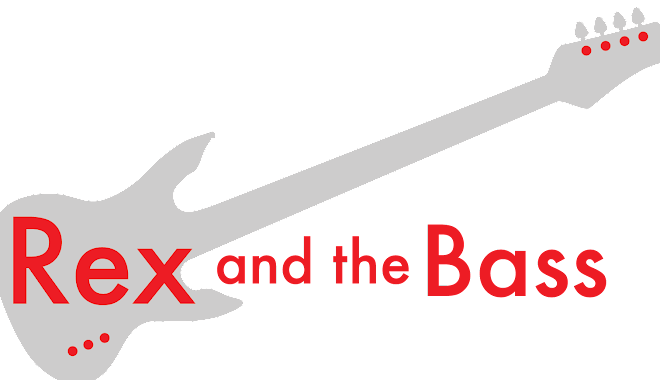 The band kept the original lyrics and started from scratch with the music, and it turn out that the music was the part I did not like about the original. This version is a rocking mashup that sounds like collaboration between AC/DC and the Allman Brothers. That turns out to be a good thing -- Eric has only recorded one cover tune, and he knocked it out of the park. The last song on Old City Blues is the title track, and is the longest one, coming in at 7 ½ minutes. This slow-rolling pure blues tune is another instrumental. Skorupski’s bass and Schreppel’s drum are totally in the pocket and provide a great foundation for French and Butterworth to go to town and play some incredibly soulful solos. What a cool way to finish things up! All in all, this album is a neat piece of work, and it left me wanting more. If you like it and want to see Eric French in person, he has been performing both solo acoustic and full band shows around New England; judging by his work on Old City Blues I think it would be a great idea to track him down and see what he is doing.